We bring to you health and fitness enthusiasts to introduce the apps, websites, gadgets, and tips that they use in their daily lives. If you’re feeling motivated, come on and #GetFitWithVP! Should you have any stories to share or would like me to feature any personalities, feel free to contact me at jean@vulcanpost.com. 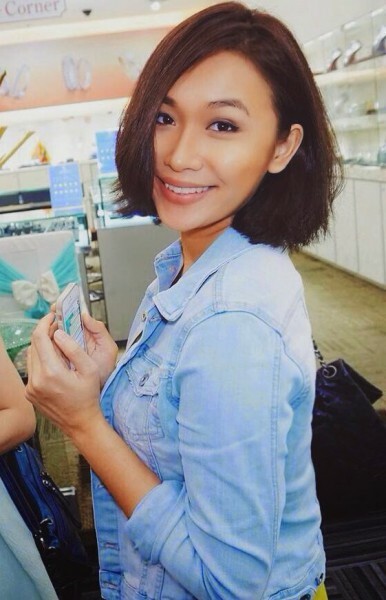 Formerly a Miss Universe Malaysia finalist, Magdeline Wang is a radio presenter at Fly FM Malaysia, an emcee and actress. On top of everything, she is also a health and fitness enthusiast. This week, we have the privilege to talk to Magdeline, or also affectionately known as Maggy, regarding her love and tips towards health and fitness. What fitness related mobile apps do you use? MyFitnessPal, I think it is a really great app to help you keep track with what you eat. I usually use it to keep count on my calorie intakes. The Nike+ Running app comes in handy when I do outdoor runs too. Do you watch Youtube videos to work out? If yes, which YouTubers do you subscribe to/watch? Not very often, as I have my personal trainer to keep me updated with my workout routines. But whenever I’m feeling a little lazy to head to the gym, I will usually follow Bodyrock.tv. Lisa-Marie’s is to-die-for! You’will have to watch it to get what I’m talking about. I personally think her workout regimes are easy to follow and perfect for home workouts. I also follow this very influential fitness figure on Instagram – Kayla Itsines. I know there are plenty of these female fitness enthusiasts across the social media platforms but I find Kayla very real and relatable and her posts are very inspiring as well. I usually go to her page for my dose of inspiration. What is your fitness mantra? Whenever I feel like being a little ‘brutal’ to myself, I’ll tell myself “Maggy, get FIT or die FAT!” But my usual mantra is very simple, “NO PAIN NO GAIN!” You get what you put in. Feel free to follow me on my fitness journey #movewithmaggy on Instagram where I share most of my gym routines and of course the fitness journey that I’m on. What are the gadgets you use while working out? I have always preferred working out without too many gadgets. One is more than enough. Sometimes, I feel that technology can get in the way with our body’s capabilities but then again they do assist in more ways than one. So, I am planning to get myself a calorie counter watch. Any recommendations? I’m pretty sure it would come in handy. But for the time being, I usually just workout with my iPhone where I have my running app and iTunes. What is your favourite website or app for healthy recipes? I am usually out and about so I rarely cook at home. But when I do, I prepare very simple dish (usually includes grilled chicken breasts, quinoa, salad, tomatoes, baked pumpkins, grilled potatoes and lots of fruits and vegetables) and those are my usual meal choices. But when I do feel like getting down and dirty in the kitchen, I’d usually just Google some healthy recipes that comes in mind! Women’s Health Magazine, FitnessMagazine.com, and EatingWell.com are my usual go-to websites. Any words of encouragement to fitness lovers/people who want to get healthy? Being fit is a journey, it doesn’t happen overnight. There will be days where you feel like giving up, happens to me quite a lot too. It is normal so don’t beat yourself up! You are your own motivation and only you have the power to choose whether or not you want to make that change in your life. Remember, “You only have ONE body and it’s your ONLY place to live. So take good care of it!” I am still struggling with my body too, it is not an easy journey but I know my body will someday thank me for it. So keep going and never give up! In any case you feel like giving up, just remember to #movewithmaggy! I’m with you on this journey! That is a promise from me to you, so let’s do this! Fit is the way to go!